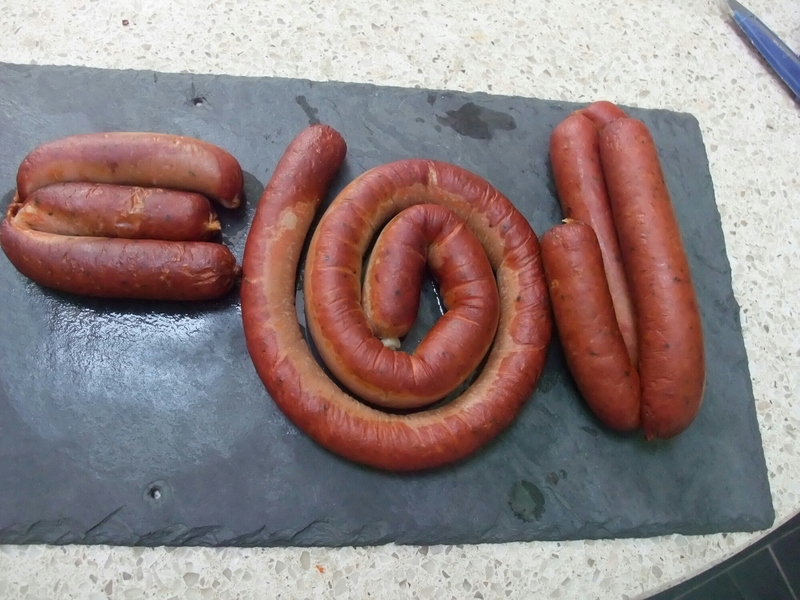 My hot links – bangers with a bite. With the weather taking a turn for the better (oh dear god at last), BBQ was always going to be on the cards this weekend. Following my trip to Hangfire BBQ and missing out on the hot links special (due to too many yummy choices and not being physically able to order – well eat – everything) I had a hankering for some BBQ ‘d sausage. 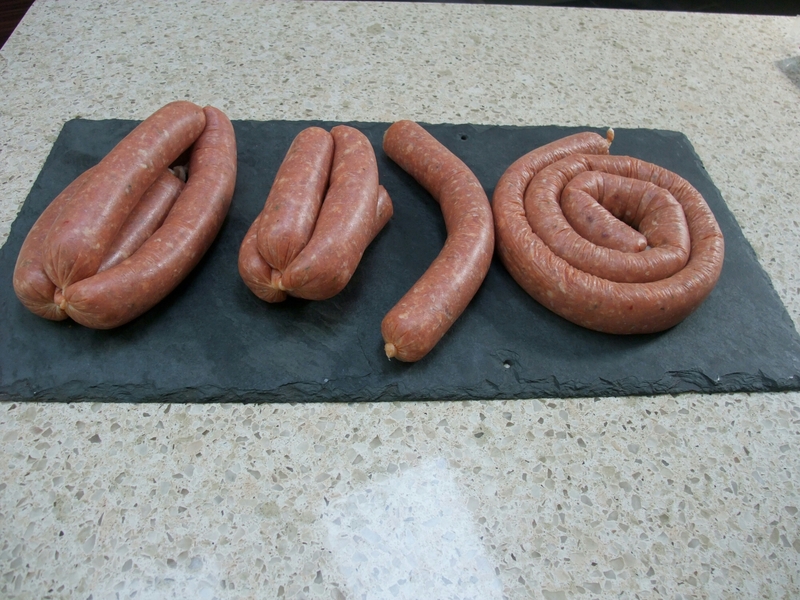 A sausage can be a truly wondrous parcel of loveliness when made with quality ingredients. It can be one of life’s great foodie pleasures. Conversely it can be a vehicle for hiding cheap rubbish ingredients. A good sausage is a thing of beauty and is revered in all major cuisines (I was amazed to read that China has more sausage varieties than France, Germany, Spain and Italy including salamis etc put together). 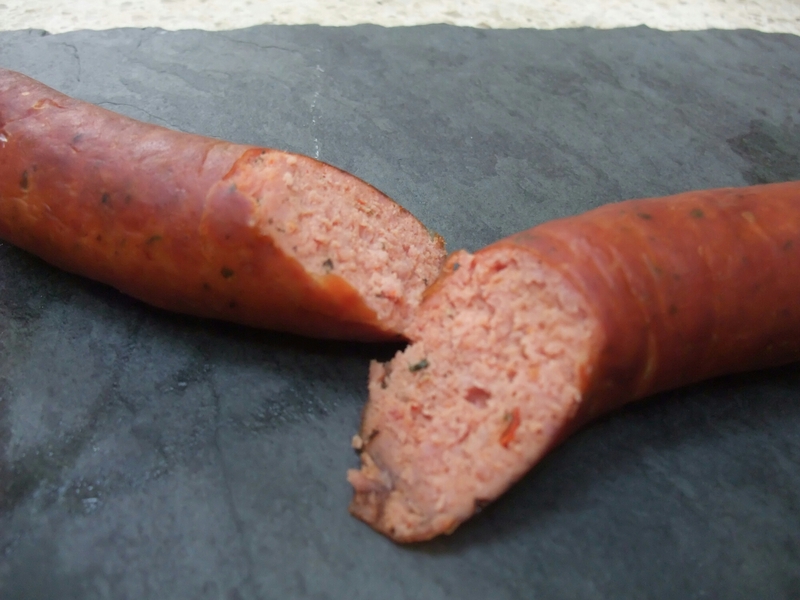 A bad sausage is an abomination – you know that horrid meat sack filled with a vile pink paste of gawd knows what and which you eat at your peril. 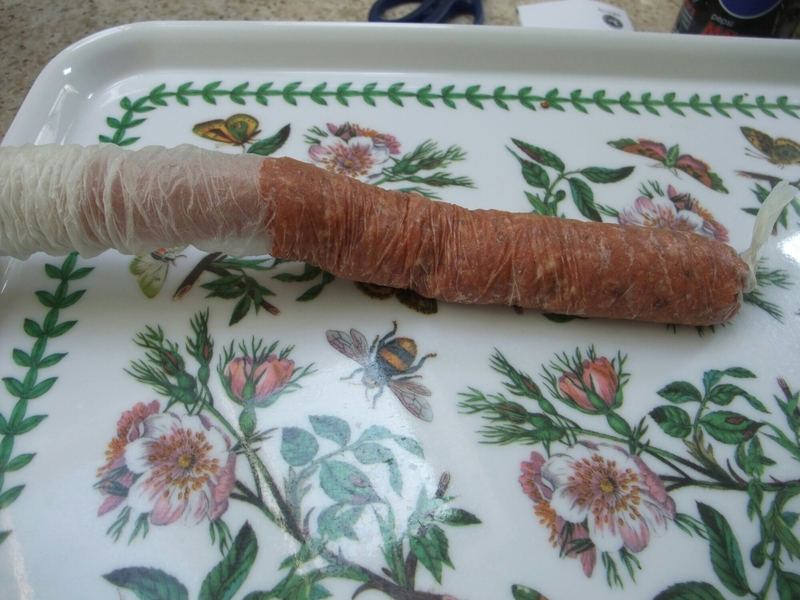 I like to make my own sausages (or buy from quality producers like Charcutier Ltd ) so I know what’s in them. I am all for nose to tail eating but am not so keen on the dangly bits (particularly if said dangly bits are not even from the same animal species) and like to have an idea of what bits am eating! Making sausages is also fun (if a little messy when I do it – Mrs.SF is nodding vigorous) and allows experimentation in terms of flavours. You can use what meat/cut you like (make sure it has good fat content) and include whatever spice and flavour combinations you want to go with. I have made a variety of sausages using pre made mixes with the merguez and toulouse being particularly successful, but this time I decided to make the mix myself. Hot links, for those who don’t know, are a southern BBQ staple in the US being a spicy smoked sausage cooked low and slow. 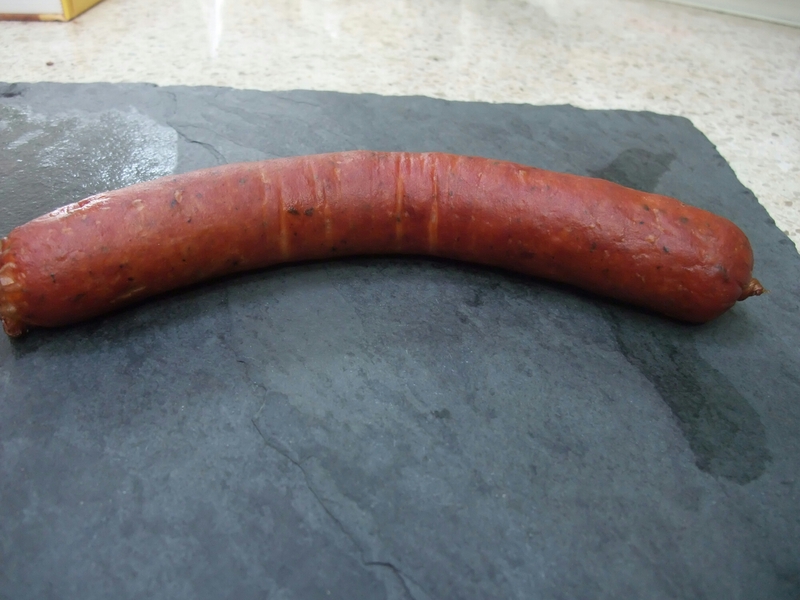 Integral to the hot link is a bit of spice and heat. For me heat is good, I like it so it does not overpower the favour of the sausage but still leaves a tingle on the palate. Whilst it is common to mix pork and beef for these sorts of sausages I went for all pork mainly because I had a load of pork shoulder and no beef. So here is my go at hot link. 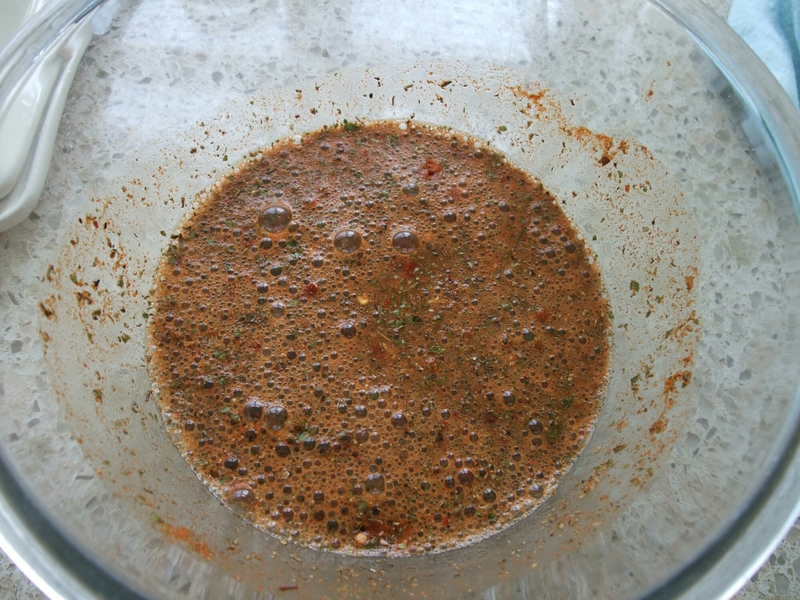 Mix all the spices and herbs together and mix in with the beer and put in the fridge for at least 30 minutes. 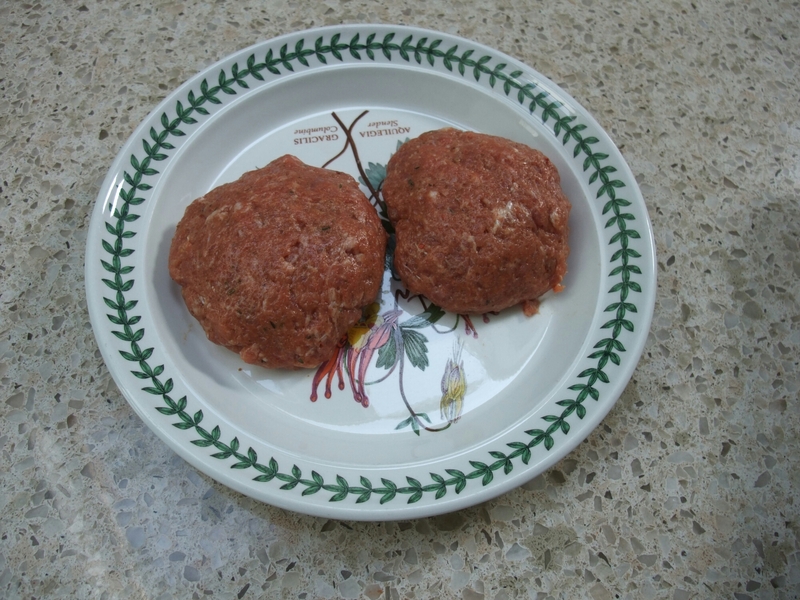 I grind my own meat and cut the shoulder up into chunks and put it initially though a middle gauge mince (medium size holes). I then mixed in the beer and spices thoroughly and put the minced pork though again on a fine grade mince. 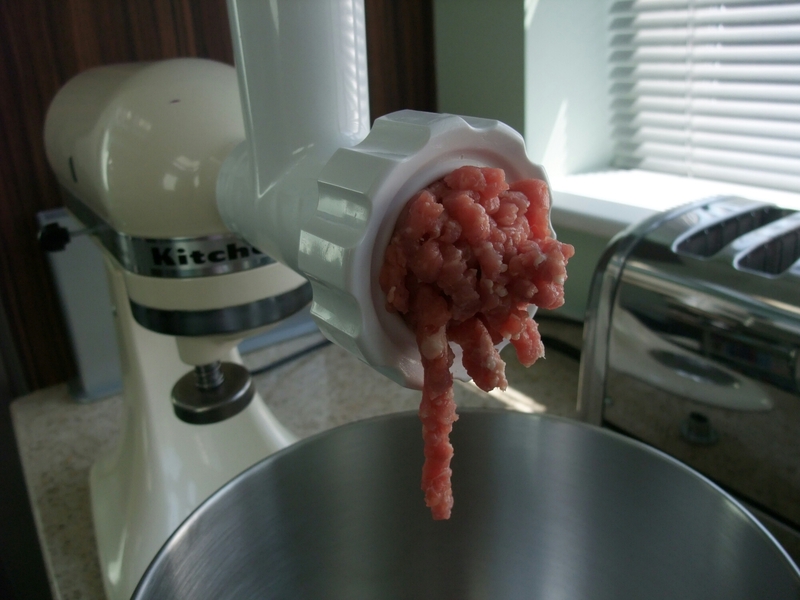 In both cases I put the metal parts of the mincer ( I used a Kitchen Aid mincer attachment which is OK for occasional usage) in the freezer for an hour before use to gets them cold (build up of heat being problem if you are mince\grind your own meat as it melts the all important fat). If you are using pre minced pork (good butcher will do this for you if ask) just mix in the beer and spices into the minced pork. Leave the minced pork and spice mix in the fridge for an hour or so to firm up a bit. I fried a bit of the sausage mix to check heat and flavour so if needed more pep (it didn’t) I could add before putting it in the casing. 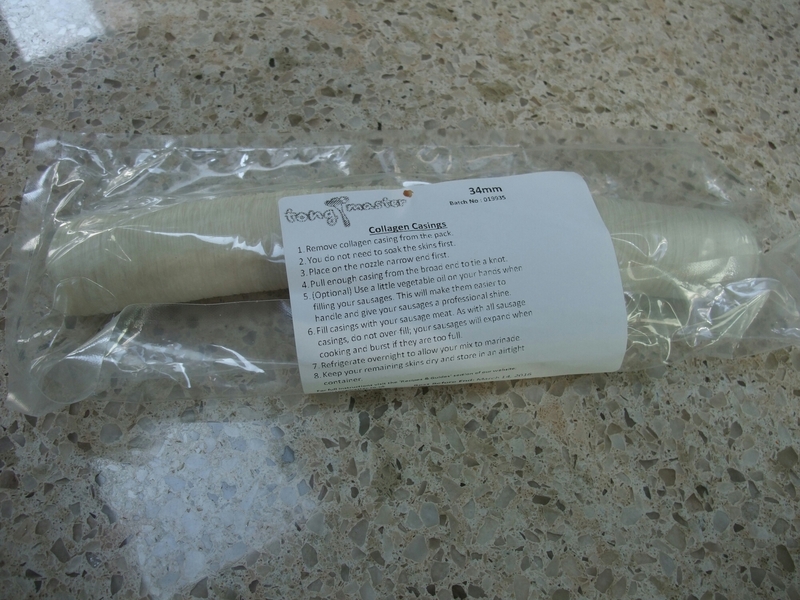 I use collagen casings for my sausages as I find they are easier to handle than natural casings (that need to be soaked). I get them from Tongmaster and for this I used a 34 millimetre casing size. I know it’s probably not the done thing to use the collagen casings for hot links, but they are OK to eat and I find them much easier to handle than natural casings. 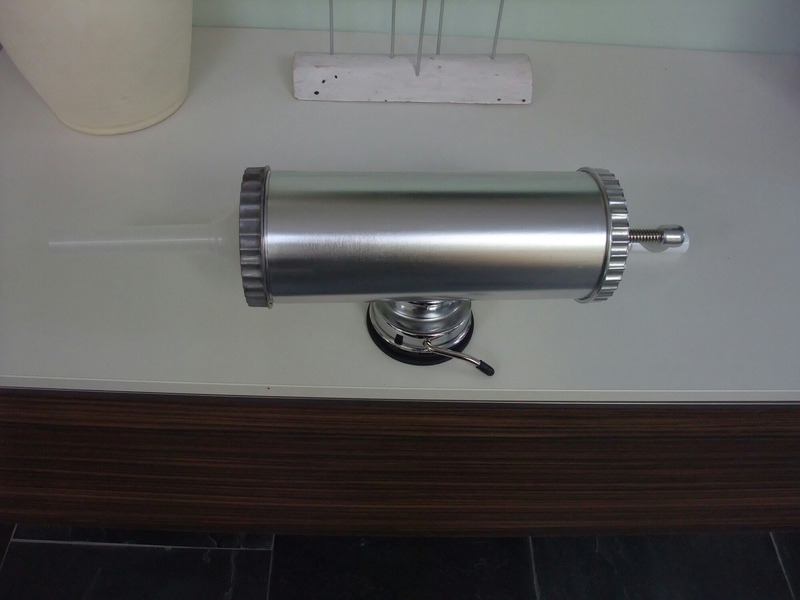 I use a hand crank stuffer which Mrs SF says looks like an artificial inseminator for an elephant. She may have a point!!!!! Stuffing in progress - not a pretty sight! I am not a great sausage stuffer or link maker as this requires dexterity, which I sorely lack being totally cack handed but I gave it a go with various forms and they looked OK I think. Just realised this post is chockablock with euphemisms! Once formed the links, wheels, weirdo shaped things need to go in fridge overnight to firm up and to let the flavours infuse. 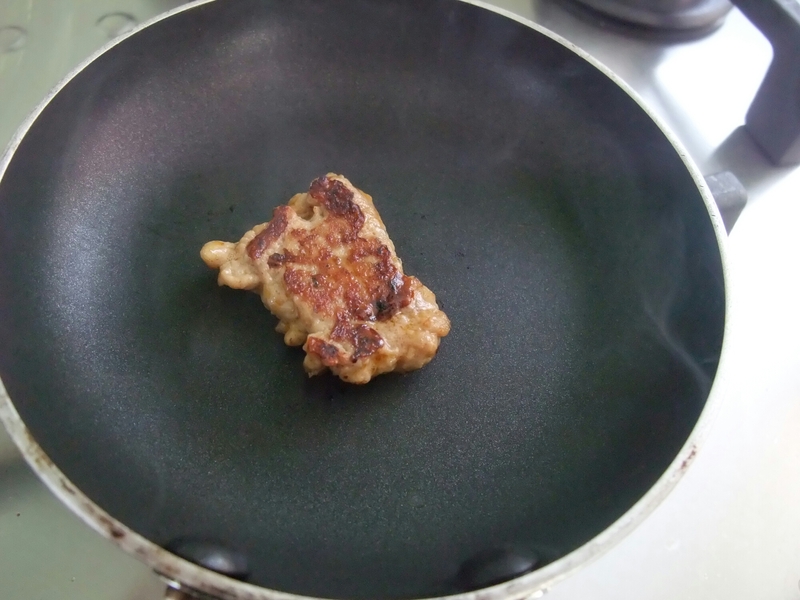 I had some of the mix left over and used it to make burgers (waste not want not). Prep your smoker/ kettle barbie for indirect low and slow cooking, See my previous Pro Q post on how to do this. Temperature wise you are looking at around 200 °f (93 °c) for about 4 hours until the internal temperature of the links hits 160°f (71°c). I used apple wood for the smoke. I was quite pleased with my hot links. They had a good flavour and a nice bit of heat that came thought at the end leaving a pleasant tingle on the lips. This heat complimenting rather than dominating the spice and pork flavours. I thought they looked OK if not the prettiest sausages I have seen. I would do individual links next time to get overall uniform colour as with the links and the spiral some bits were paler than others. They were good hot or cold, with a good BBQ sauce. Would I make them again? Definitely – they are going to be a BBQ staple going forward in the SF household. I’m going to have to give sausages a go. 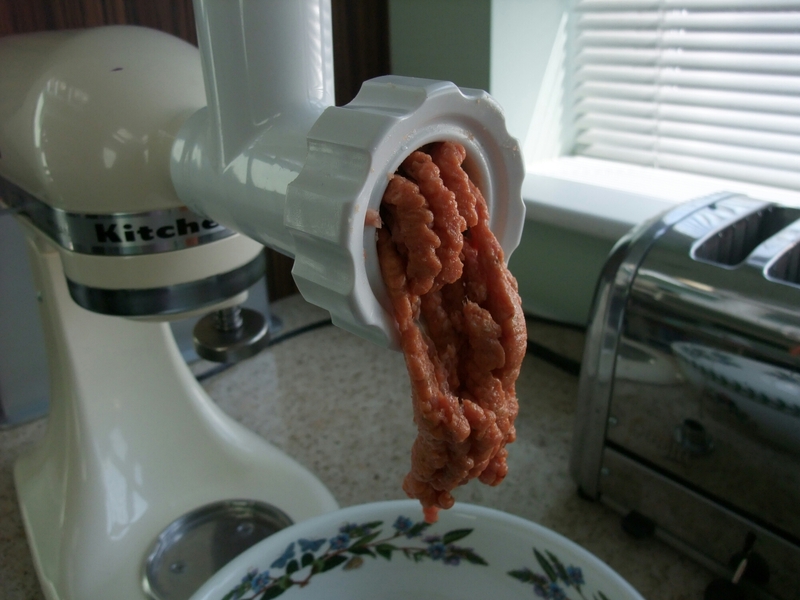 I really want to get a mincer anyway! I’m going to have to look into it. Want to mince my own chicken too. This entry was posted on May 18, 2014 by solicitingflavours in Barbecue, charcuturie, Chilli, Food and wine products, home cooking, Hot smoking, Smoker, Wales.